Fishing has been very good during theis last week with many boats catching and returning a lot of fish. 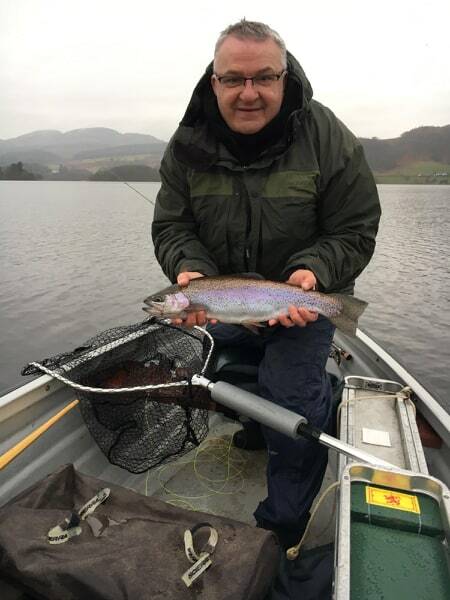 Fly Tyer Peter Batchelor was out with his mate Gary Hamilton on Monday in dreich conditions (but not two drops as was forecast) and had a brilliant day. I asked them for a few tips and Gary said, “we followed the house martins which were swooping over the Lake in certain areas and they led us to the fish”. 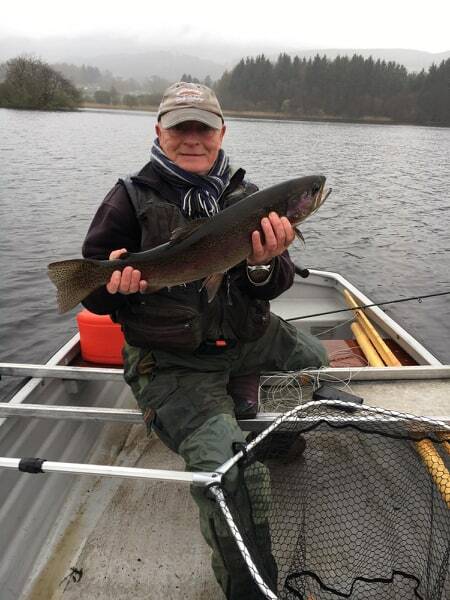 They did well up behind Dog Isle on washing line tactics then moved away from the fish to Lochend and put on dries and continued catching – ending up with over 40 fish.Top areas have really been all over. Malling shore to Reedy Point, up to the Gap and down to the Butts. Below Peter Batchelor left and Gary Hamilton (right). 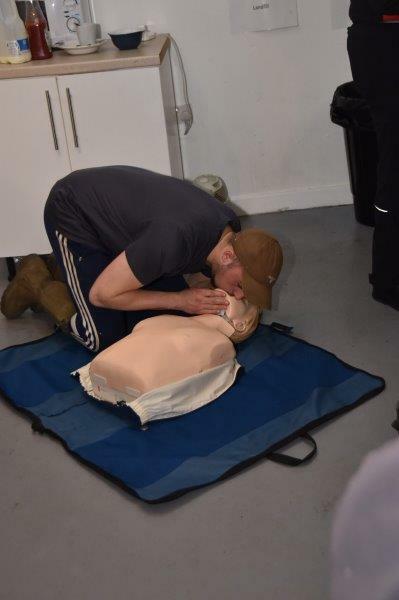 The Defibrillator training morning held recently was well attended and our thanks to Trossachs Search and Rescue for their expert advice on defibs and first aid and also to Scottish Police Recreation for the fundraising and to all who contributed. Fishery employee Connor Shearer demonstrates his technique. Next Next post: Twiddlingly good retrieve.